Our Graphic modules allow for complete pixel customization, have the ability to display graphics and/or text, and can even display both simultaneously. 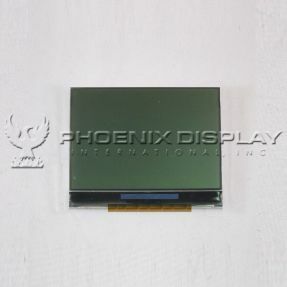 If we can not help you find a perfect graphic LCD module to fit what you are looking for, our Phoenix Display International designers will help you to create a custom graphic LCD module to fit your exact specifications. Phoenix Display has been continuously recognized as the top graphic LCD module suppliers in the US over the past 10 years. This is largely due to the fact of our engineers shear attention to detail. Everything from the production of the graphic modules to making sure you are being supplied with a LCD module that will give you optimal viewing capabilities is done with a custom approach. Just as you feel your product isn’t like anything else out there, we feel that’s exactly how you should be treated! Our graphic module engineers know what to look for in the tooling, development, and implementation stages of your display into the end product.